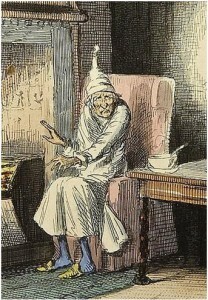 Are Your Clients Acting Like Scrooge? Many businesses and contractors who’ve worked for large companies may find themselves waiting and waiting to receive payment by the year’s end. Despite having delivered their products and services on time — and filed their invoices accordingly — employers can be left scrambling to meet payroll deadlines and pay suppliers when December 31st rolls around and they haven’t seen a dime from the larger companies with whom they’ve collaborated. How come some companies hold out so long to make good on their contracts? And why is some extending their pay periods to over 100 days? Many large companies want their yearend balance sheets to look more profitable — so they cling to cash that’s owed to those who’ve worked for or sold goods to them until a new quarter begins. This may boost their own capital in the short term— but it ends up hurting the assets of those awaiting a promised income. According to a 2015 article published in The New York Times, heavy hitters like 3G Capital — who bought Anheuser-Busch in 2008 — have begun imposing pay periods up to 120 days. Though a decade ago such a tactic might have indicated that a business was doing poorly, today the strategy is sometimes deployed as a means of boosting appearance and satisfying shareholder returns. “By pushing out payments to suppliers to three and four months, companies have more cash for any number of projects,” journalist Stephanie Strom reported. In 2013, for instance, Proctor & Gamble tacked on another 30 days of waiting to their payment period, bumping the total time suppliers had to stand by up from 45 to 75 days! The result projected $2 billion in extra cash on hand for the pharmaceutical giant. The most distressingly affected by these larger companies’ practices are small and midsize businesses that don’t have as much cash on hand to weather extensive waiting periods. Consider the case of Stephen Brock, owner of Supplied Industrial Solutions in Granite City, Illinois, who sold equipment to Anheuser-Busch. Prior to their acquisition by 3G in 2008, Brock never had to wait longer than 30 days to receive a check for the services he provided the beverage giant. But following that date he was notified that his payment period would be stretched to a full 120 days — an amount of time he simply couldn’t afford to withstand, as Anheuser-Busch represented nearly 5 percent of his sales. Customers may also take a hit when a company doesn’t pay their suppliers and contractors in adequate time. Businesses and individuals who work with larger companies that take over a month to send a check may need to increase their prices so as to have more cash in their own banks while awaiting the next installment. A 2015 survey conducted by the International Association for Contract & Commercial Management (IACCM) confirmed that payment terms are a growing source of contention for small businesses and suppliers. 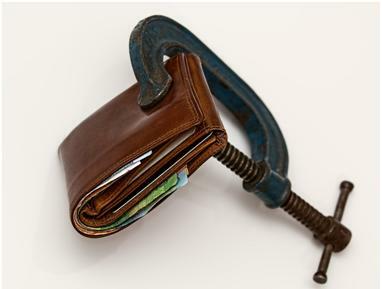 Though the term norm is still 30 days, IACCM found that 70% of companies have adjusted their standard payment terms in the last 2 years and 14% of major corporations with over $40 billion in annual revenue currently take 90 days or more to pay. Thankfully, for those companies and contractors who find themselves in a pinch waiting for accounts receivable, there is an interim solution that materializes funds immediately without badgering a slow-to-pay company — or, in worst case scenarios, taking them to court. Prestige Capital offers financing for receivables of all sizes, granting our clients the working capital they need to pay off their own end of year debts — and have some left over to spend for the holidays. A prime example of just how much assistance Prestige Capital has been able to offer our clients is a New York-based creative services firm whose annual sales totaled $2.5 million at the time of our assistance. The company was one year old and known for creating advertising jingles for airlines and other clients when they sought Prestige Capital’s services. The firm took 45 to 60 days to generate billable work, plus an added 45 days before payments were received. This lengthy cycle left them with a tightened budget and stringent constrains on their cash flow. To stay afloat and continue to grow, the client required immediate working capital. Prestige secured a $500,000 credit line that bridged the gap between the company’s invoicing and payment to support its daily working capital needs. For 30 years, Prestige Capital has been providing fast, straightforward, and flexible financing for companies of all sizes. You sell us your invoices and we immediately advance you the funds to operate and grow your business. It’s a line of credit based on your sales, not your net worth. There are no limits, and you can get started with as little as $100,000 in qualified accounts receivable. 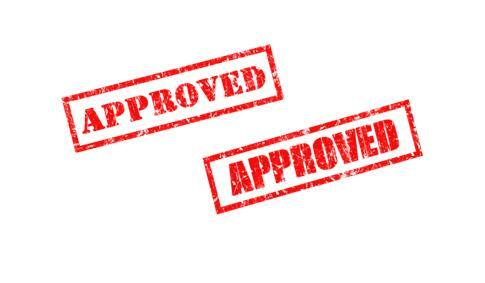 We offer programs with no monthly minimums, no obligation to fund all receivables (and/or all debtors) and we can even assist in funding purchase orders. Financing receivables can provide the liquidity small and large businesses alike need to buoy them through the New Year. Don’t miss out on business opportunities because you’re waiting to get paid. Meet payroll and other immediate cash flow requirements, acquire equipment necessary to reduce costs, or simply spend more time focusing on running your business rather than reporting requirements. Most deals are non-recourse, insulating you from the cost of bad debt, and there are no legal fees incurred from doing business with us. So if you’re sick of waiting for cash to come in then, well, what are you waiting for? See if you qualify or get started on your credit application today.